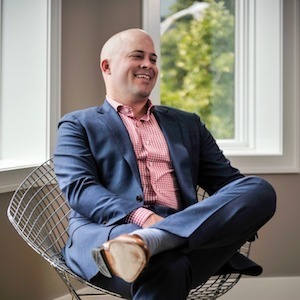 Veteran Chicago real estate broker Jason Rowland sets a new standard for premier service with an approach that embraces both the business and personal aspects of buying and selling property. Known for his ability to manage every detail from beginning to end, clients commend Jason's great marketing and negotiation skills, his ability to soothe jangled nerves, and his deep well of experience. He asks the right questions and explains each step in great detail, but more importantly, he truly listens to his clients' questions, concerns, and goals. As one satisfied client puts it, "Jason provides white-glove service at its best!" Jason came to residential real estate after six years in the commercial sector, which he considers an ideal training ground for forging and maintaining client relationships. A self-professed deal junky, he thrives on getting his clients the best possible value or return on investment in every transaction. It's no surprise he's been named among the top producers in Chicago for several years running. Originally from St. Louis, Jason has resided in Chicago since 2002. He lives in the Lakeview neighborhood where he loves exploring the Southport Corridor with his wife, their son, and dog, Rudy.